The holes from which the polyps project are large and crowded together, and are arranged spirally up the branches. The polyps overlap each other, each one having eight tentacles. The polyps spread out their tentacles to feed on plankton both day and night. The octocoral has symbionts with zooxanthellae that inhabit the tissues. 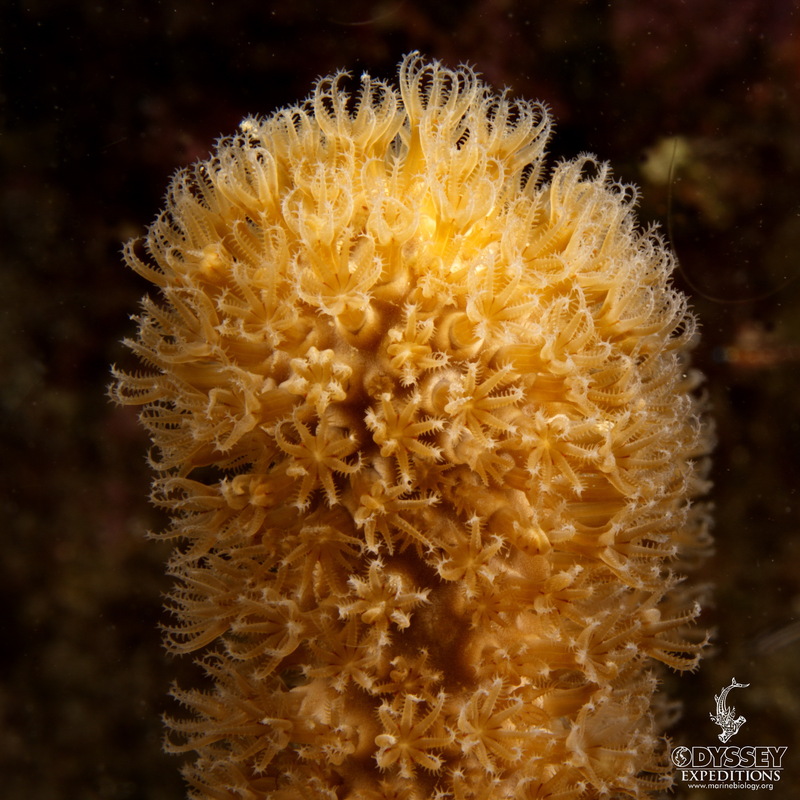 The polyps are armed with nematocysts (stinging cells) and can be retracted into the branches defensively. Pseudoplexaura porosa has few predators that feed on it including the flamingo tongue snail, nudibranchs, butterflyfish and some angelfish. pseudo – Greek ‘false, lying’ +plex – Latin ‘to plait’ a single length of flexible material made up of three or more interlaced strands; a braid. Discover your Adventure with us!